In 1996 and 1997, Sega decided to port 3D accelerated versions of some of their recent big hit arcade games to the PC. 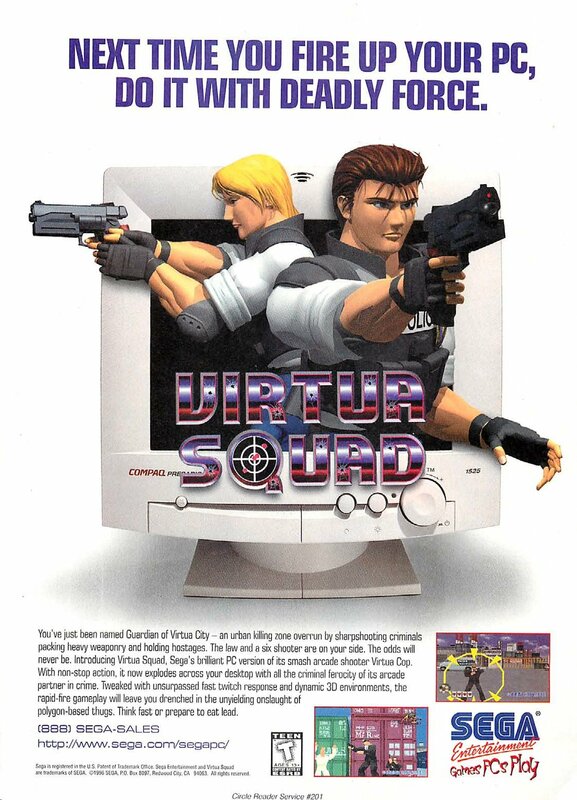 One such game was Virtua Cop, which was also released in some places as Virtua Squad. Of course, there was no light gun peripheral for Virtua Cop, so it lost some of the magic, but the mouse proved to be a pretty good substitute.